Left panel: Schematic diagram of the ERAI-LUC system. The ERAI-LUC gene construct consists of human partial XBP1 cDNA and firefly luciferase cDNA. The transcripts from the ERAI-LUC construct are not spliced under normal conditions. The unspliced mRNA is translated into a truncated XBP1 protein. Under ER stress conditions, these transcripts are spliced, leading to a frame shift. The spliced mRNA is translated into an XBP1-luciferase fusion protein. 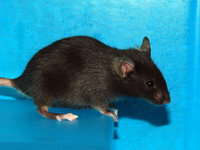 Thus, ER stress is detected as a luminescent signal in cells and mice. Right panel: whole-body in vivo imaging of living ERAI-LUC mice. The right image is a mouse injected intraperitoneally with tunicamycin, an ER stressor. The left image is a mouse injected with saline as a control. The photos were taken using an in vivo imaging system (known as IVIS) after the intraperitoneal injection of D-luciferin into both mice. Robust luminescent signals are detected from the mouse on the right that was exposed to ER stress. The main function of the endoplasmic reticulum (ER) is to synthesize secretory and membrane proteins. These proteins are correctly folded and assembled by numerous chaperones and catalysts. When exposed to disturbed conditions, such as the overproduction of ER proteins, viral infection, ischemia, and glucose deprivation, these proteins accumulate as unfolded or misfolded forms in the ER lumen and cause ER stress. The unfolded protein response (UPR), which is one of the adaptive responses to ER stress, upregulates the transcription of various genes in order to increase protein-folding and protein-degradation activity in the ER. Inositol requiring enzyme-1 (IRE1) is an ER-located transmembrane protein that has the unique function of relieving ER stress. When the luminal region of IRE1 senses perturbations in the ER environment, IRE1 induces unconventional splicing of XBP1 mRNA, which encodes a specific transcription factor for activating the UPR. This ER stress-dependent splicing of XBP1 mRNA was applied to develop ER stress-activated indicator mice (ERAI mice), a model system for monitoring ER stress . 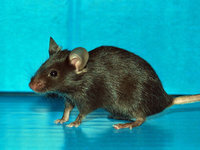 Recently, another type of ERAI transgenic mouse, the ERAI-LUC mouse, has been generated using the luciferase gene. This stress indicator was constructed by fusing the gene encoding XBP1 and luciferase , a luminescent enzyme used in the place of GFP gene in the original ERAI system. Studies using ERAI-LUC mice showed that physiological and pathophysiological ER stress can be monitored in various tissues such as liver, pancreas, kidney, placenta, and salivary gland [3,4]. ERAI-LUC mice are a useful tool for monitoring ER stress and IRE1 activity in vivo. Iwawaki T, Akai R, Kohno K, Miura M. A transgenic mouse model for monitoring endoplasmic reticulum stress. Nat Med; 10(1):98-102, 2004. Iwawaki T, Akai R. Analysis of the XBP1 splicing mechanism using endoplasmic reticulum stress-indicators. Biochem Biophys Res Commun; 350(3):709-15, 2006. Hosoda A, Tokuda M, Akai R, Kohno K, Iwawaki T. Positive contribution of ERdj5/JPDI to endoplasmic reticulum protein quality control in the salivary gland.Biochem J; 425(1):117-25, 2009. Iwawaki T, Akai R, Yamanaka S, Kohno K. Function of IRE1 alpha in the placenta is essential for placental development and embryonic viability. Proc Natl Acad Sci U S A; 106(39):16657-62, 2009.